Located in scenic Sturbridge, Massachusetts, Antiques & Collectibles at Fortunato Court is easily accesible from Auburn, Charlton, and Brimfield. We provide space to an exclusive selection of consignment sellers and feature an incredible number of rare treasures and finds. 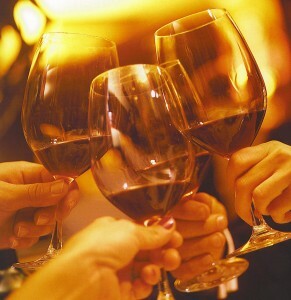 Join us every Thursday evening from 6:30 to 8:00 PM for our weekly wine social. 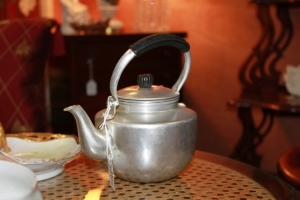 Enjoy homemade wine, music, and company as you stroll through our shop and view our unique selection of home decor mixed with antiques and collectibles. See a small sampling of some of the latest arrivals. Note that we are open to 8:00 PM every evening during the Brimfield antique show. 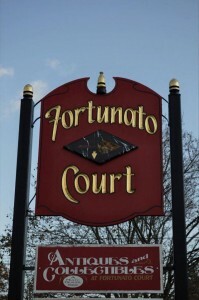 © 2012 Antiques & Collectibles at Fortunato Court. Website courtesy of Sturbridge Web Associates.